Baseball Curves Quilt for 'Modern Bee' + Giveaway! My third and final goal with Craft Book Month was to fulfill a personal goal and wild dream. I wanted to write a sewing book. And so I set out to learn everything I could about how they are made, how to pitch a book proposal. . . the whole shebang. In the process, I met wonderful people at several craft book publishers and in March of 2012, I got the incredible news that Stash Books had accepted my book proposal! Modern Bee — 13 Quilts to Make with Friends is filled with full-size quilt patterns from myself and 11 friends who I had the pleasure of sewing with in an online bee, Mod Stitches. We each claimed one month and designed a block and coordinating quilt, swapping fabric and finished blocks with each other throughout the mail. I designed two quilts for the book, and sewed blocks for each of the others. 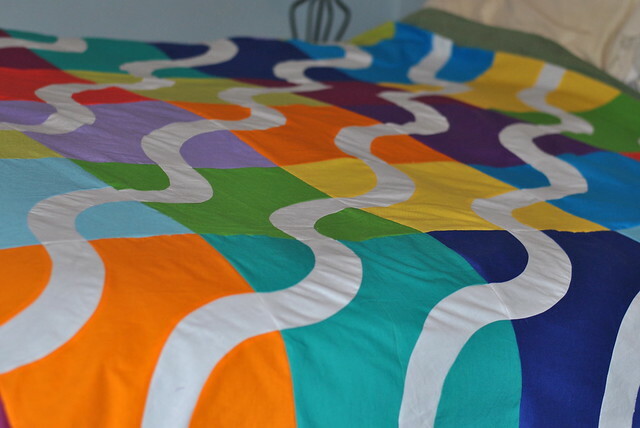 I'm sharing some little-known facts about my "Baseball Curves" quilt here today! Fun fact #1: Freespirit provided the fabric for this quilt, which I pre-cut into arcs and curves for my bee members. I asked them each to make three blocks of the same color, so I wanted to take care of the cutting part completely. Fun fact #2: I don't think anyone in my bee was excited about sewing curves. In fact, I think I heard a couple of (Internet) gasps! ;) But you know what? Everyone did an amazing job with their blocks, and they all fit together perfectly. It just goes to show that YOU CAN DO IT! Fun fact #3: The lovely and talented Angela Walters quilted this bad boy for me. When I opened the box, I was speechless! I gave her complete freedom to quilt it however she wanted, and I will forever bow down to her free-motion skills. Just gorgeous! Fun fact #4: I bound the entire quilt in Kelly green. Then I ripped it out and added baby blue. So much nicer. Fun fact #5: While I was finishing up my quilt, boxes and boxes of finished quilts starting arriving at my house, from the other girls in the bee. My front porch started to look like this! Fun fact #6: Once I'd collected all of the quilts for the book, I needed to mail them all to the book publisher in California for the photo shoot. Talk about nerve wracking. 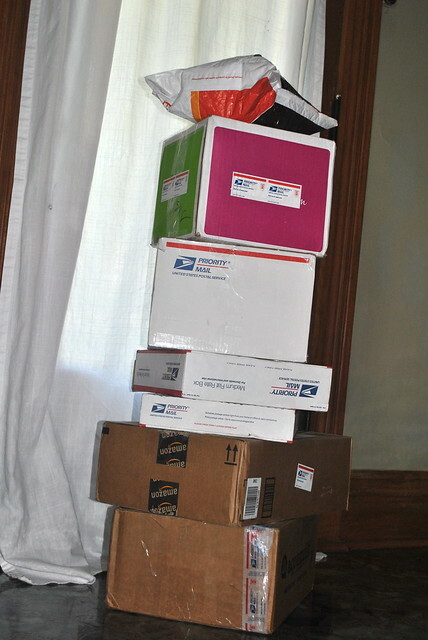 I researched the best way to mail quilts, and came up with all sorts of things. In the end, I wrapped them all in clear plastic bags from the dry cleaner, and stuffed everything into two boxes, like this. 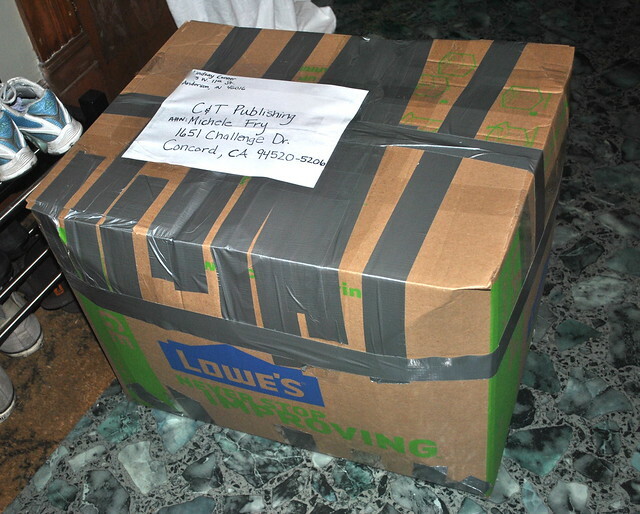 You can imagine my relief when my editor Michele wrote, "Lindsay, the heavily-duct-taped boxes have arrived!" Fun fact #7: For their photo shoots, my publisher took the quilts on location to someone's house for "set shots," and they also took "flat shots" of each quilt in their offices. I got to chat with my book team ahead of time to make suggestions on the overall vibe for the book, including photography and props. We went with a modern, fresh yet retro feel, which really complemented all of the quilts in the book! I think I gasped when I saw this fabulous photo for the first time. Don't forget to follow along with the 3rd Annual Craft Book Month blog hop. We're celebrating all month long inspirational craft book projects, a crafty contest, free patterns and prizes! Modern Bee will start shipping from Amazon on Oct. 1. I'd be honored for you to quilt along with us! 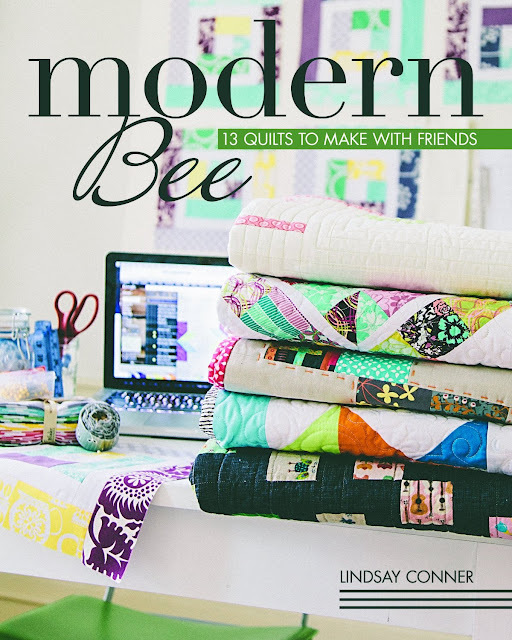 Would you like to win a copy of Modern Bee — 13 Quilts to Make with Friends, courtesy of Stash Books? Just leave a comment on this post for your chance to win. You can tell me about your favorite project you've ever made or what you're working on right now, if you'd like! Update: the winner is commenter #4, Claudia! My favorite project ever was a rainbow chevron baby quilt for a friend who adopted a girl from china last year. I must make myself one too. Thanks! Love the baseball curve idea! Right now I am working on an I Spy Toddler quilt for our annual Cystic Fibrosis fundraiser. This is my 5th fundraiser quilt. I am currently working on baby quilts for twin boys. I used Robots and space fabric for both of them but from different lines. The same theme but different materials. I LOVE this baseball curve quilt. 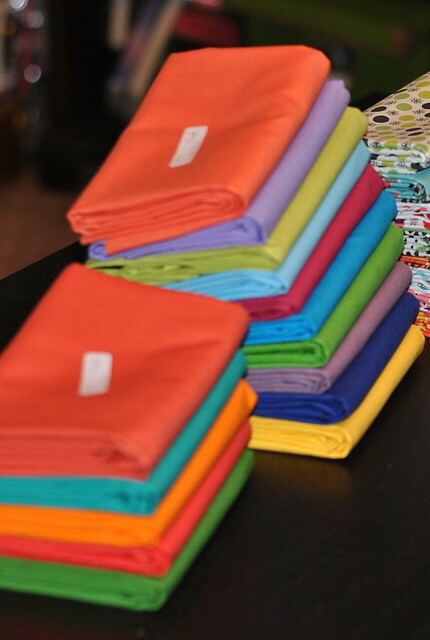 Right now I'm working on a Sunshine Quilt that will be a gift for the new grandbaby I'll be getting next week :) ! Love this quilt! I'm currently working on the broken herringbone QAL. Very nice, I might have to try this, I really like the modern look, never thought I would. Your quilt is awesome and your right the quilting is unbelievably BEAUTIFUL! I am working on some bee blocks and I'm testing a pattern for someone right now. It's my first time testing a pattern so it's been fun! I'm also participating in a couple of swaps right now. Love that quilt! Right now I'm working on a simple patchwork throw for my couch. I am working on a rainbow quilt for a friends daughter who injured her eye. 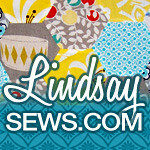 The quilt in the blog is AWESOME--wow. I'd love to create something like that. The quilting is perfect...great flow. I'm making my daughter a wedding quilt using fabric we used for her reception table toppers and napkins. I find it absolutely amazing just how much quilting can add to a quilt. It just makes the quilt! So beautiful! thank you for the opportunity. The quilt in the blog is beautiful. My favorite quilts are the ones I make for my children. I made a sunbonnet sue using their dresses from way they were little, and a flying geese quilt. I am making 20+ pj bottoms for christmas! I cannot wait to see this book!!! :) Congrats Lindsay. Ohhh that is absolutely gorgeous!!! Currently working on trying to finish up a quilt for my husband. This truly an amazing pattern!! What a beautiful quilt! I have begun my Christmas sewing! fun facts indeed! can't beleive you took off the binding! currently finishing up a quilt for my daughter and starting charity quilts for a local foster home. Lindsey, I'm so excited about your book! I really want to join a bee, but have been hesitant about committing. I've been talking to my husband about it and I think I'm about ready to jump in! What a beautiful quilt... I can't wait to see that book! Hey, I've seen that quilt up close and personal, and it is 100% AWESOME. 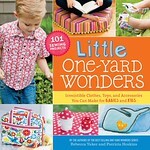 I definitely want this book, so I'll say that among other things, I'm getting ready to work on a school auction quilt. thanks! Ooh those colors make me sad we are going into Autumn! Thank you for the giveaway. I'm making a 6-point star EPP quilt with Briar Rose. :) I have been re-watching all of Buffy the Vampire Slayer while working on this, so it's been a fun project. I can't wait to see your book! I'm going to need to make a trip over to Barnes and Noble soon. Love the colors in the quilt. Currently working on a new baby quilt, involving embroidery...involves teaching myself embroidery. Looking forward to your book, just might be the push I need to get a group of friends together to sew. Can't wait to see the book.... I'm working (still) on my Farmers Wife quilt! That's a spectacular quilt. My attempts are so much more basic but I guess we all have to start somewhere! I am currently cutting out my weekender bag...time to take the plunge! The book looks great! Yes I want one! Beautiful quilt! It is a beautiful quilt! Perfection! I plan on getting your book...unless I'm the lucky one to win it here! I'm working on a new quilt right now. Designing a shoo fly design! And I'm using PASTELS!! Something I rarely ever do! Love the finished product! 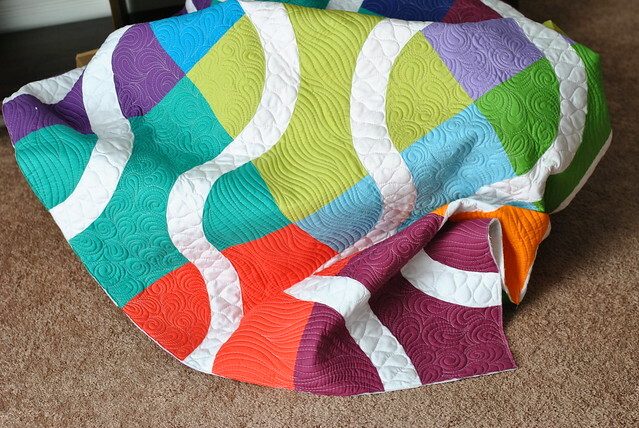 Those curves are Rad and the freemotion quilting is to die for! That's such a great quilt & your book looks awesome! It's really interesting to learn about all that goes into producing a craft book. My favourite project is the quilt that I made most recently, a Swoon quilt from Camille Roskelley's pattern. Thanks for the chance to win. Lindsay, I loved hearing some of the background tidbits about your book. That photo is really fabulous! Great post! I'm working on a tote bag with leather straps right now. Hopefully it will be done before Sewing Summit! I have already ordered your book, but I would love to win a copy for myself and give the purchased one to a friend. Thank you for the behind the scenes info!! I'm absorbing as much of this kind of info as possible now too ;) I'm currently making a baby quilt for my sister in law! Right now I'm working on my first modern quilt! Congratjlations on your book! What a beautiful quilt! Love the bright colors and curves. I'm working on some zip pouches that will be Christmas gifts. Wonderful giveaway, Thank you! what a gorgeous quilt, love the curvy design. I'm in the middle of sewing some paper pieced blocks, right now actually, just taking a quick bloggy break! Congrats on the book. How thrilling for you! I'm working on a number of projects right now, my favorite of which is an embroidered pillow for my youngest daughter's birthday. Very nice quilt. I love some of the modern quilts with curves. I made the Groove quilt with Pile O Fabric last year and then made two more because it was so much fun. WoW! What a gorgeous quilt! Love all the bright solids ad well. I've sewn before with curves and found if you pin well and go slow, it works, hehe. 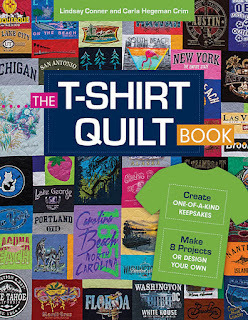 Congratulations on your quilt being in the book. Loved reading all your fun facts. 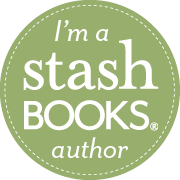 Thank you and Stash Books for a super giveaway and a chance to win. What a wonderful quilt you did! I absolutly love this one and I want to win the book! Thank you for the opportunity.I sew a winding ways quilt last year - the curves challenged me but it turned out very nice. I'm working on some pillow cases for my son! Wow, gorgeous! Congratulations on your first book!!!!! Currently I'm working on a memory quilt for a dear friend. 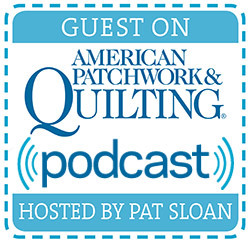 Thanks for sharing your story and a chance to quilt along with a free book!!!!!!! Hello,working on another charity baby quilt this week>a passion of mine! This book looks great! I would love to do the baseball curves quilt!!! I just ADORE the curves in the quilt! Stunning work! I love the "Baseball Curves" quilt. It is just adorable! I'm getting ready to finish quilting a king size quilt I made from blocks that my grandmother worked on before she died. It's very special to me. I'm working on a Swoon right now. Yes, yes, yes! I would love to win your new book. I am working on Christmas gifts, one is quilt and another is an embroidery project. Congratulations on the publication of your book! I'm working on a couple of bee blocks right now, coincidentally. I am working on baby quilts for a new arrival in Feb. They will not be learning the gender, so I have to be prepared either way. I am working on a Fall Table runner. Love your quilt, I am not working on anything right now. I'm working on another Cameo baby quilt and hundreds of potholders for the holidays. No sewing/quilty projects right now - I'm trying to work on a knit sweater for my daughter. I think my most favourite project is yet to be done :) I really want to try to make a quilt, but I'm not yet that confident, so only small projects at the moment. 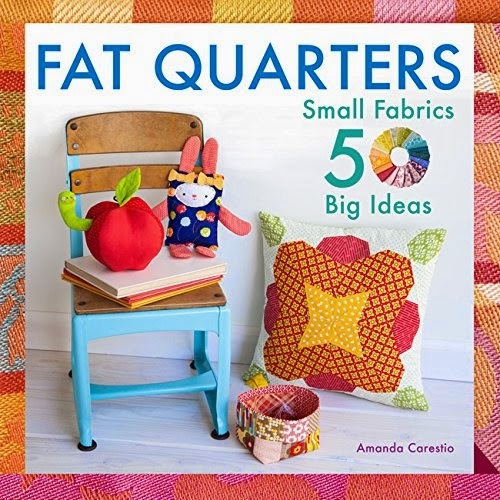 I am making mini quilts for a newborn, due in Nov..my 6th gandchild..
Oh my not only did you quilt turn out fabulous, the book looks like it will be wonderful too! Congrats on achieving your goals, that is so awesome! I can't even begin to tell you how happy I am to be included in this amazing book. And I might have been one of those who gasped at the idea of curved piecing, but you are right--it wasn't all that bad. 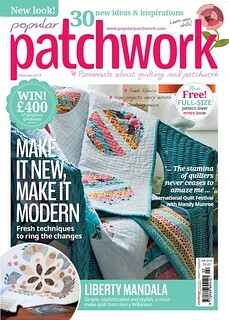 In fact, it has sparked some quilt design ideas that all involve curved piecing!